Maybe you've been here: you are executing on your data governance strategy and have been through the first successful iteration of your data hub initiative. At this point you or your stakeholders wonder; is it working as expected? Is it delivering actual value? At this stage, being able to measure, demonstrate and communicate the outcomes of the initiative in a clear way is key to keeping the momentum and the entire organization involved in the strategy. If you have been using Semarchy xDM for a while, you have likely already asked your analytics team to build nice visualizations in the corporate BI platform, using the APIs, available access points to the data, traceability and lineage information stored in the data hub. Unfortunately, the team cannot deliver as fast as you'd like and requests become a point of contention or unwelcome dependency. At Semarchy, we have always believed that quantifying and communicating the value of data management initiatives is not optional. It is a basic requirement for every project. This is why we're introducing Semarchy xDM v5 with a new component called xDM Dashboards. xDM Dashboards allows you to design charts and dashboards suitable for every user in the organization, combining data quality, data governance, and business metrics. 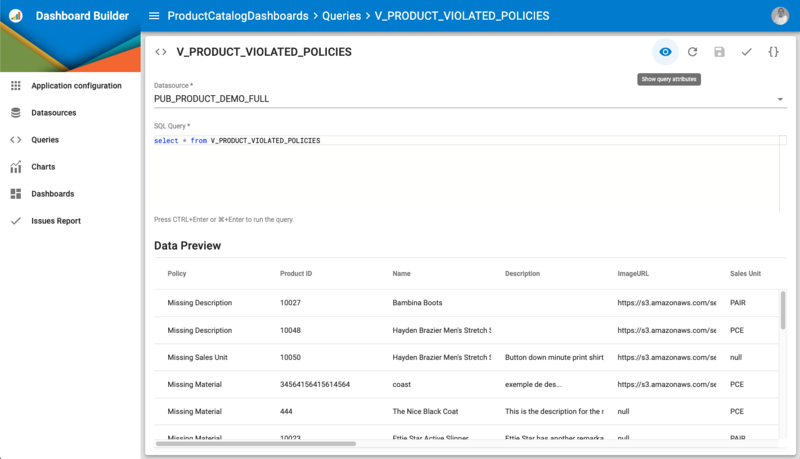 Business users can analyze data quality issues in relation to business KPIs; for example, product data completeness issues along with the product sales numbers. Managers can monitor the efficiency of data processes. For example, measure the impact of a governance decision - such as a workflow change or a newly enforced policy - on customers or employees on-boarding processes. Data stewards and architects have global and detailed views of the data volumes and issues across all the domains managed in the data hub. Business leaders are served with a high-level view of the data management initiative progress and outcomes. Data Governance team members can measure at a high or detailed level the progress of the data hub initiative and the business outcomes in order to base decisions on trusted data. xDM Dashboards is designed in a way that makes it suitable for a wide range of users, from the data architects to the data literate business users. It all starts with a Dashboard Application, in which architects create datasources and queries to connect to the various datasets required for the measures. The datasets may point to information stored in a Semarchy xDM Data Hub or in any other system, including your own operational or analytical databases. Using these datasets, everyone can start designing simple or complex chart visualizations. The user experience in xDM Dashboards is intuitive and simplified to the extreme, and guides every user in a step-by-step design process. Once the visualizations are ready, you can combine them into dashboards. These dashboards use a powerful layout engine, support slicers for user filtering, as well as rich text and content. 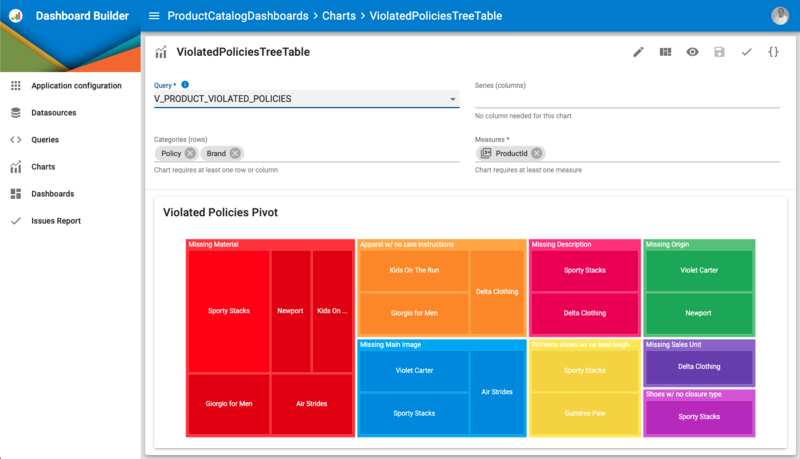 Finally, you can release these dashboards as standalone applications, embed them in the xDM data management applications, or embed them in your corporate applications/portals in order to expose the metrics in context to the business users. 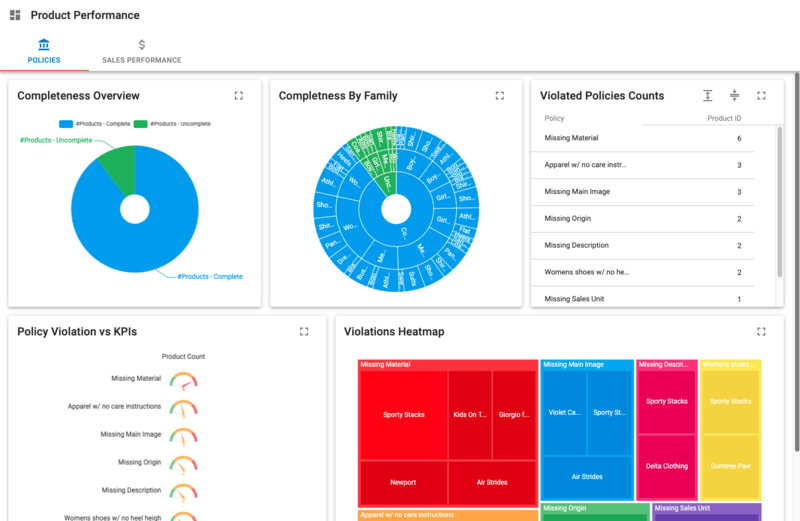 xDM Dashboards is a fundamental component of the Semarchy xDM platform, enabling your team to quickly communicate the outcomes and the value of your data governance and management initiative. xDM Dashboards is available now in Semarchy xDM version 5, which can be deployed on-premises or in the cloud. Get started now!